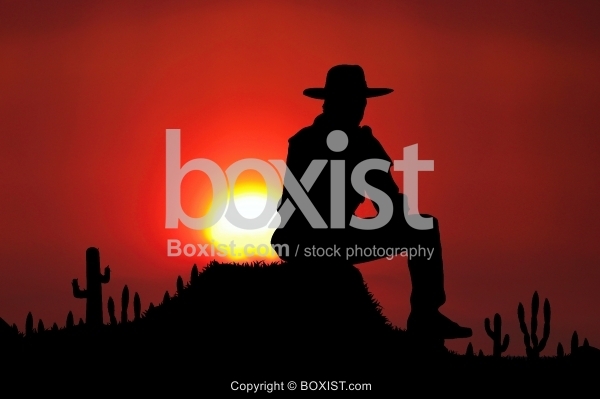 Concept Design of Young Man with Cowboy Hat Sitting and Watching Desert Sunset. JPG: 8000x5333px @ 5.07 Mb. 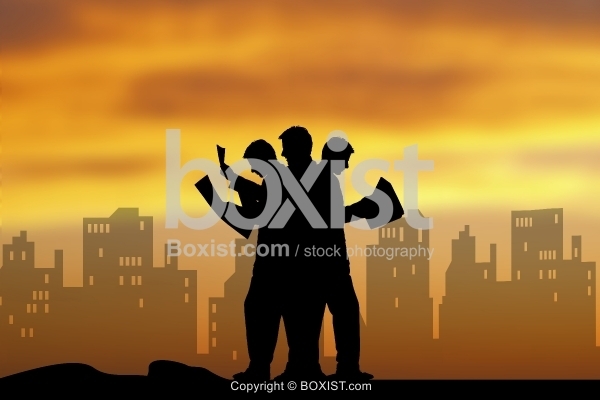 Vector Clipart Design of Business Man Silhouette Against Downtown Buildings at Sunset. 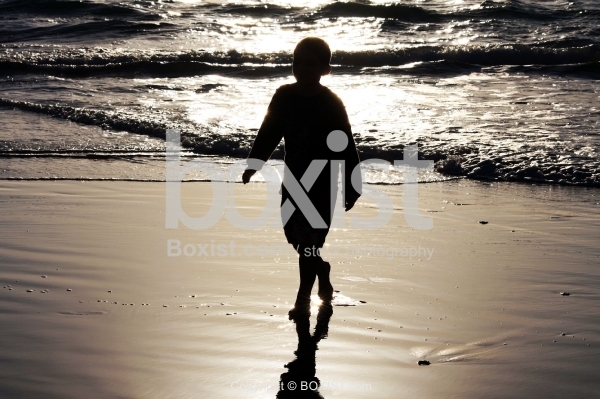 Silhouette of Young Kid Standing on the Beach. 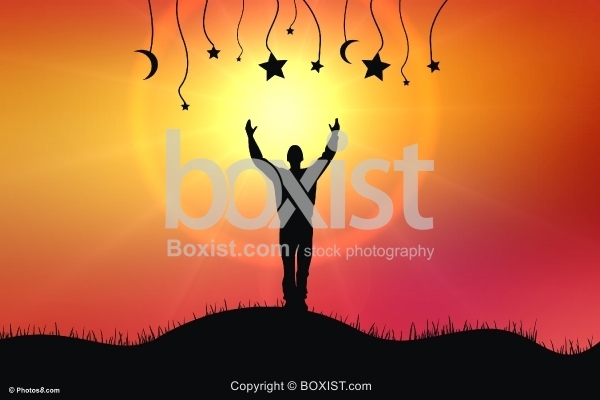 Vector Design of Man Standing up Silhouette, and Calling to the Night Hanged Stars. 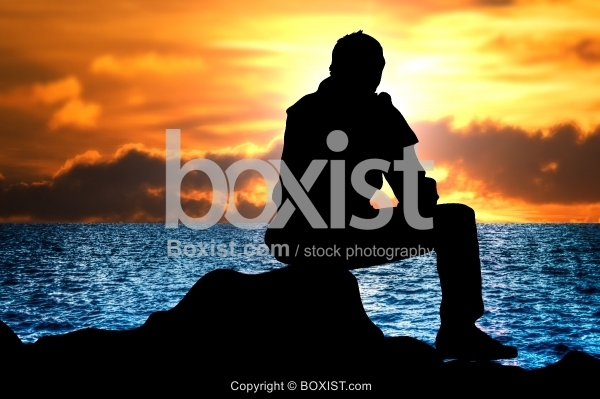 Silhouette Design of Young Man Sitting Alone on Rock and Watching the Sunset on the Beach.